 ACO Management Depends on IT - ONRAD, Inc.
HealthLeadersMedia.com | November 19 – There will be wide variability in the types of accountable care organizations that are established in the near future. Some will be tightly organized around existing integrated delivery networks. Others will be based on independent physician associations without an integrated hospital. Still, others will be formed as a collaborative multi-stakeholder initiative, perhaps building from a sustainable health information exchange. There will be distinct payer relationships. Some ACOs will be Medicare-specific, others focused on Medicaid managed care and others multi-payer. As the health benefit exchanges become established there will be an additional stimulus to the development of ACOs—some with integrated insurance functions, others operating in partnership with managed care plans. No matter what the particular ACO form, six key success factors will be critical for successfully delivering on the potential of accountable care. As the ACO becomes more mature, the breadth of information technology necessary also will increase so as to provide the connectivity and the decision support needed to manage the continuum of care.